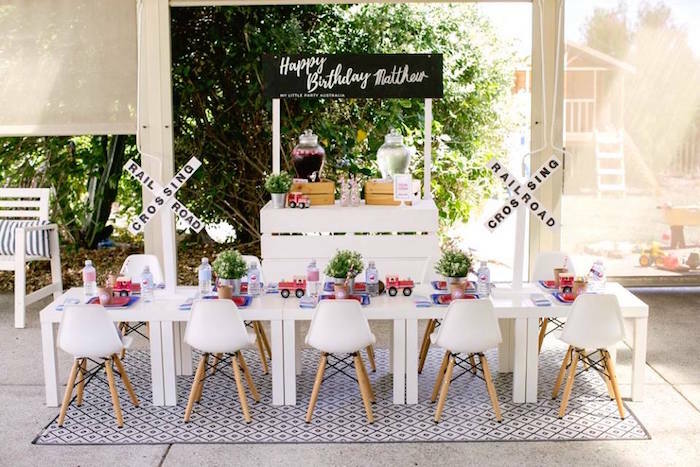 Calling all conductors young and old, this Retro Railroad Birthday Party is full of adorable details untold! 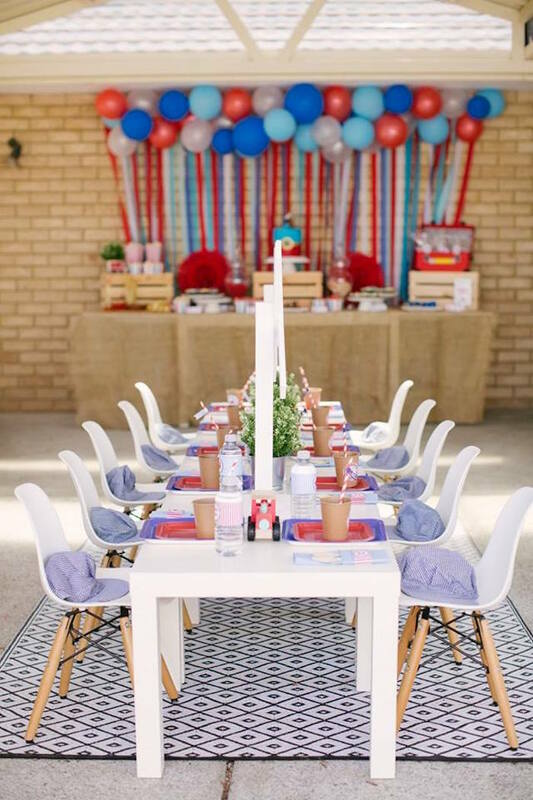 Packed with fun for everyone to see, this birthday bash by Emma Craven of My Little Party, out of Perth/WA/Australia, will make you happy as can be! 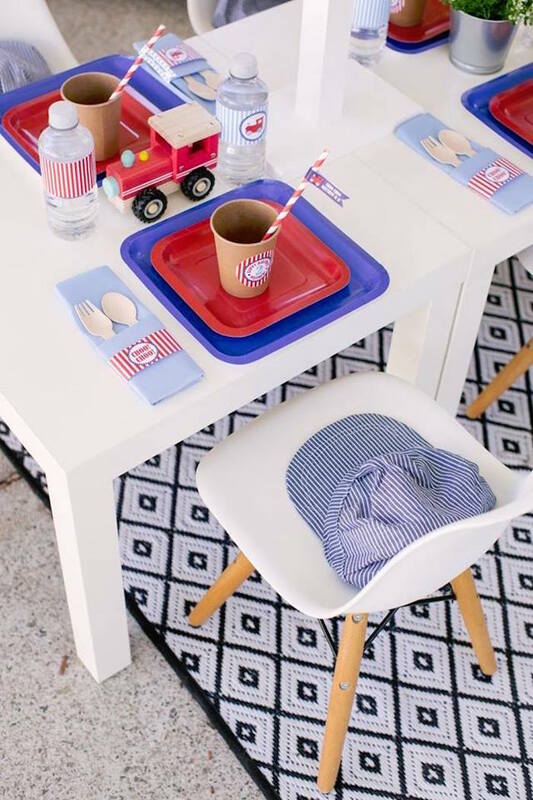 I like to use my imagination and put extra effort into decorating a table. 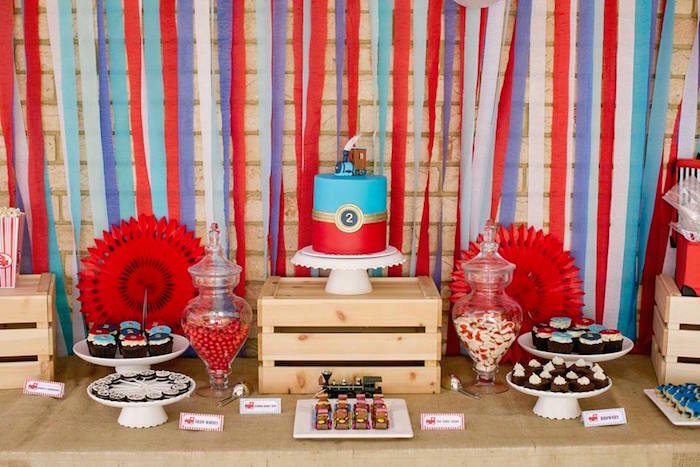 On this occasion, I chose a palette of three different colors, red, blue and white as inspired by Matthews favorite colors. 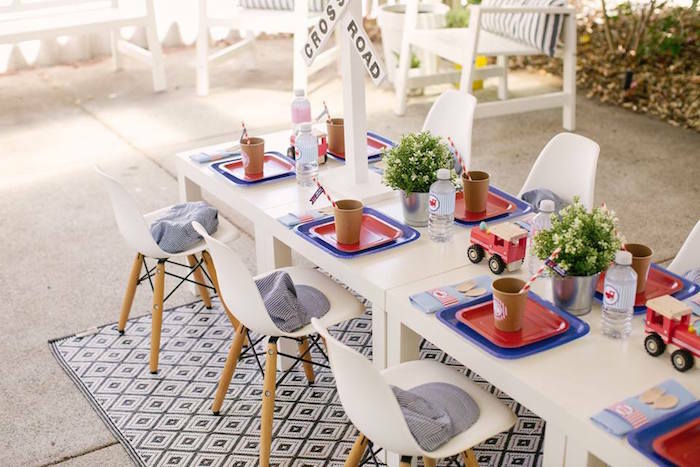 The table was set with red and blue square paper plates, from Favorlane Party Boutique. 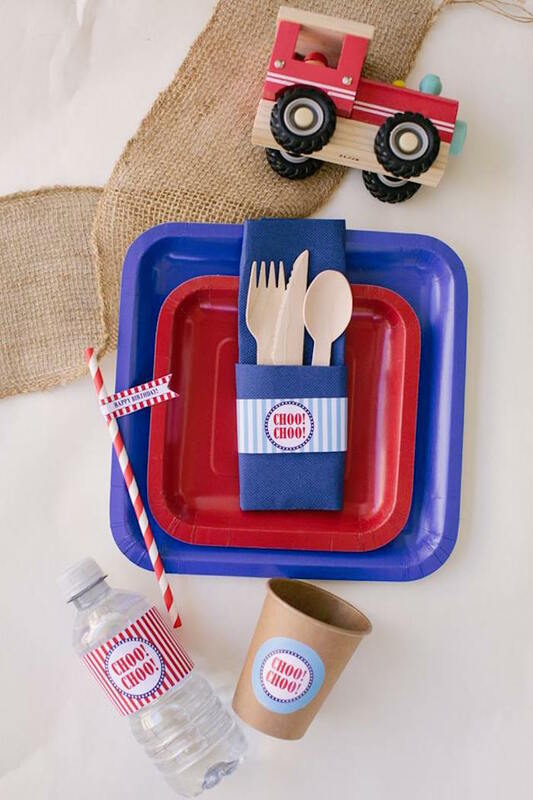 The wooden cutlery was set in blue napkins, and finished off with a cutlery wrap that said choo choo. 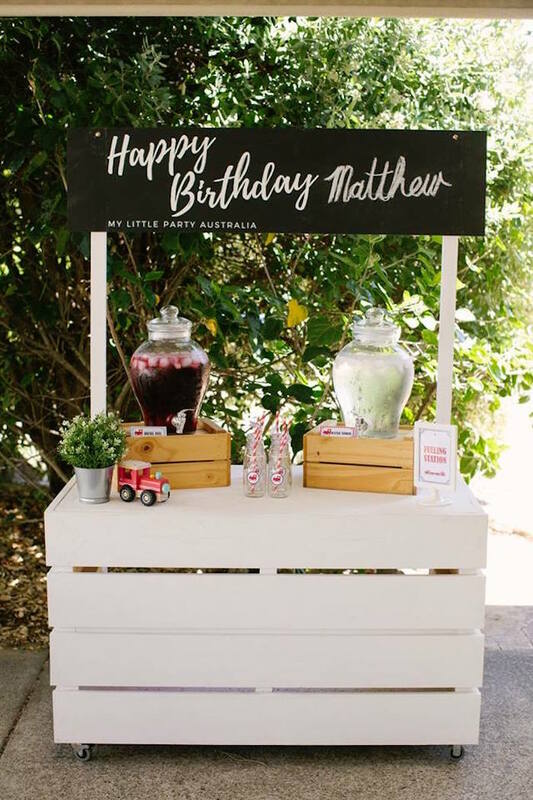 Every brown cup featured a sticker, with the number two and a birthday message especially for Matthew, topped with a red and white paper straw. 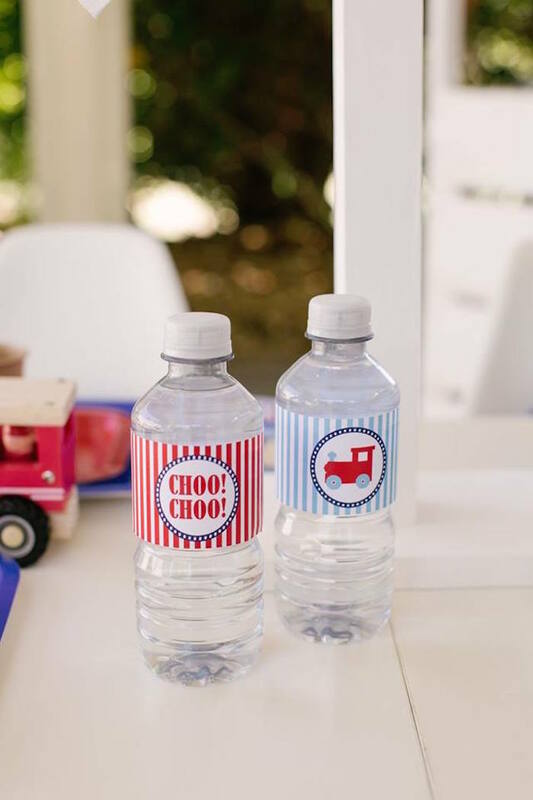 The water bottles were given a coordinated label highlighting a train. 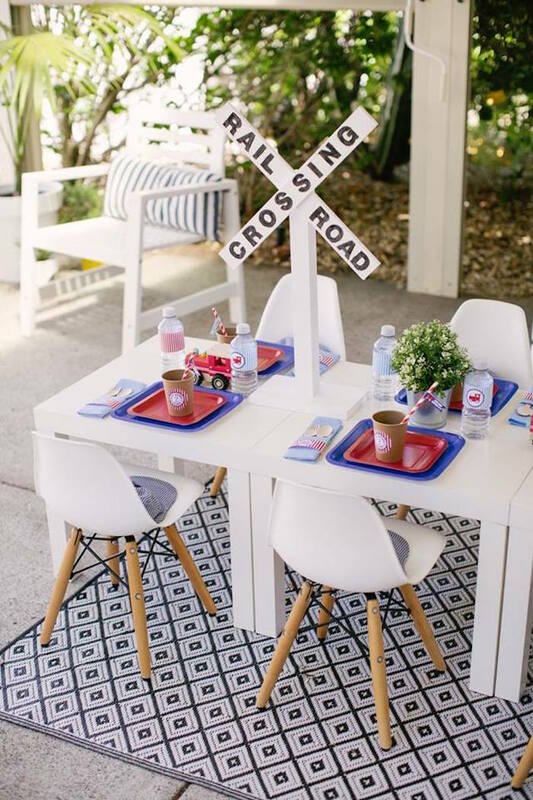 The centerpiece was white railroad crossing signs, hedge style plants in silver pots and cute little red trains. 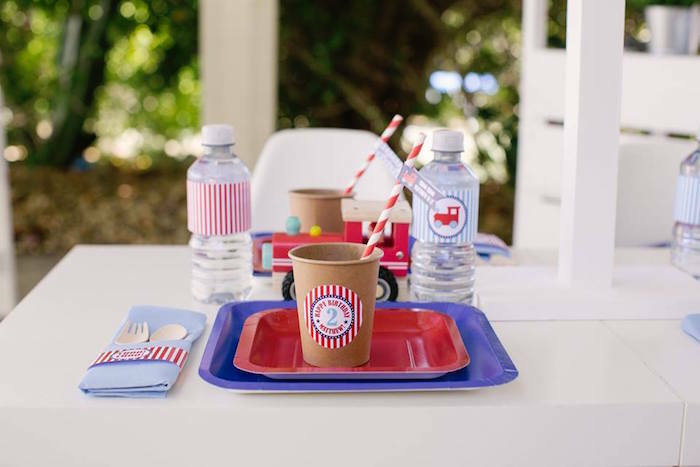 Each place setting had a navy and white striped train conductor hat for each little party guest. 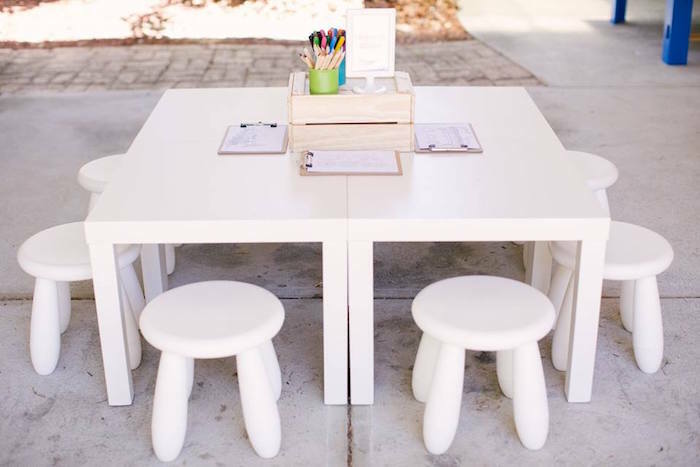 For the first class carriage experience, we organized for Eames Replica chairs from Allegra and Grace chairs. 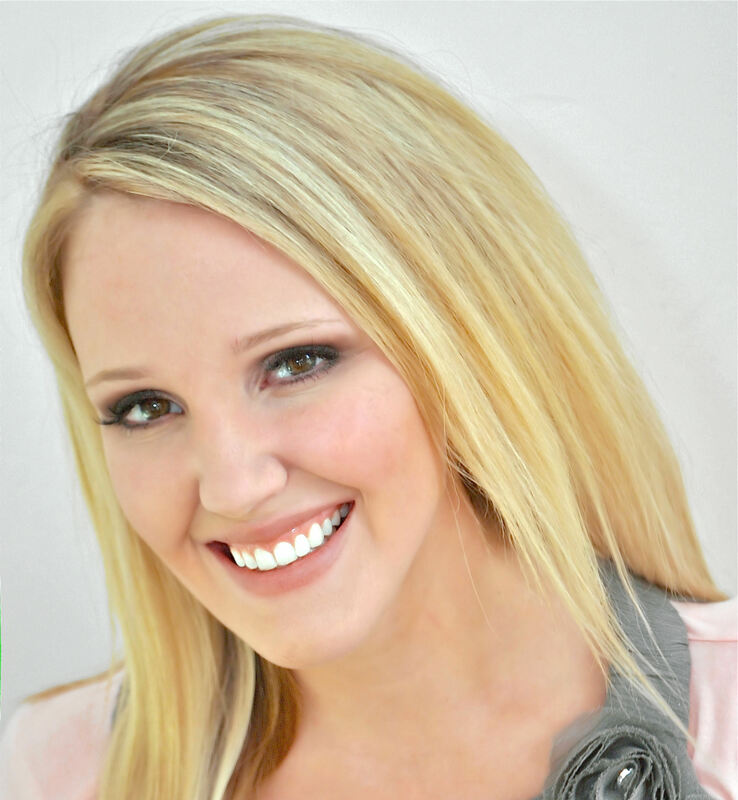 I love balloons, of any variety. 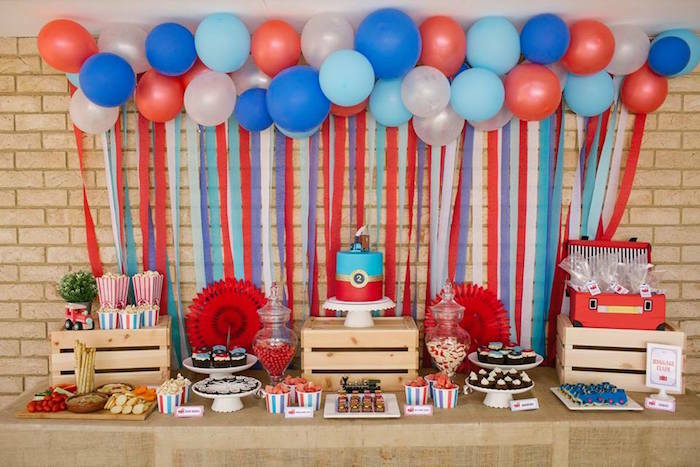 On this occasion, I used a selection of regular balloons in the colors red, blue and white. 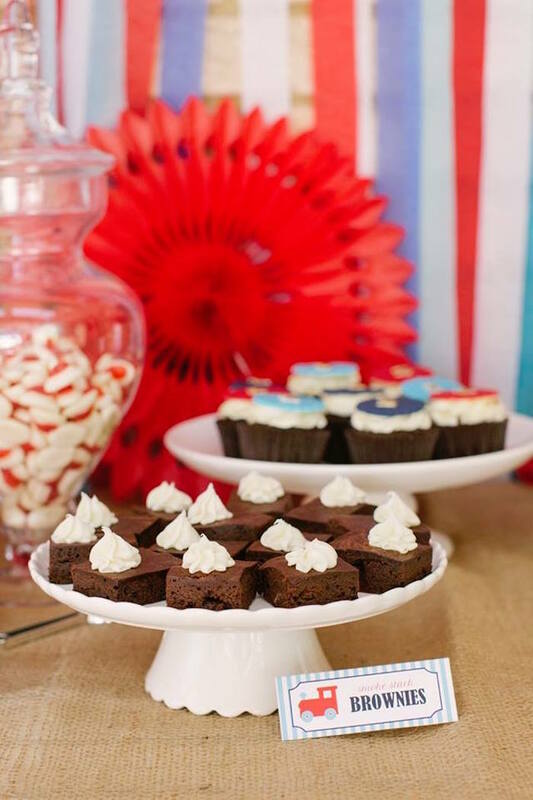 We positioned these just above the food table, against numerous lengths of colored streamers we used as the backdrop. 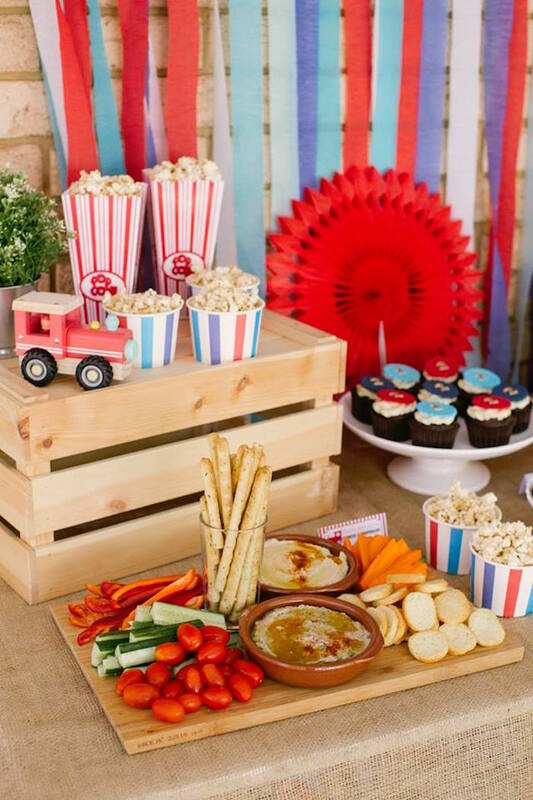 I love working with natural-looking materials, we used wooden crates and rounded up decorations in browns and greens. 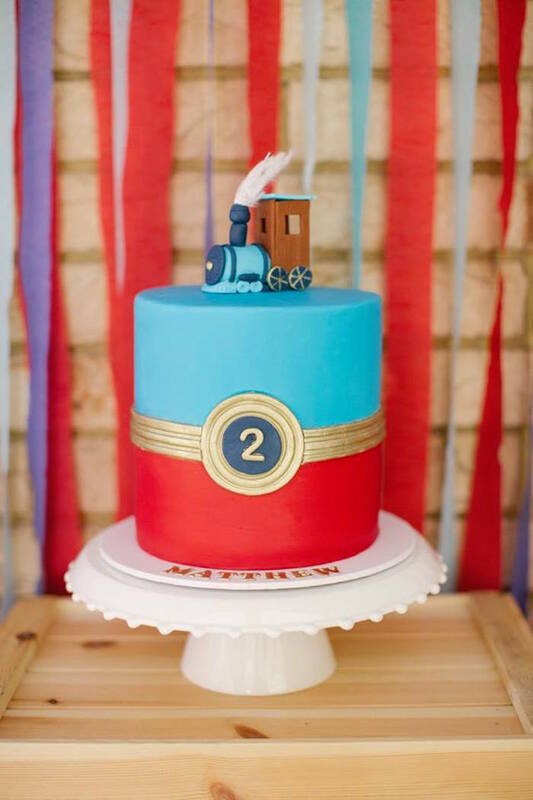 A variety of trains brought in lots of railroad touches. 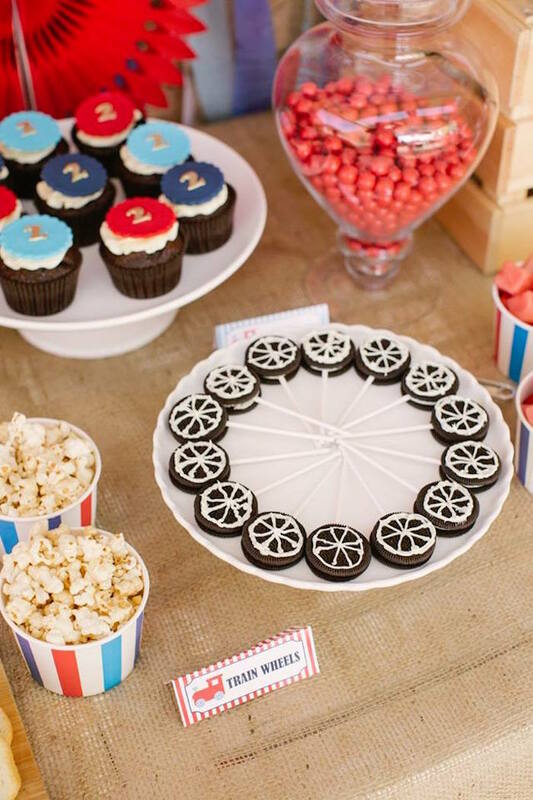 As I am sure you would agree, entertainment is an essential element of every party. 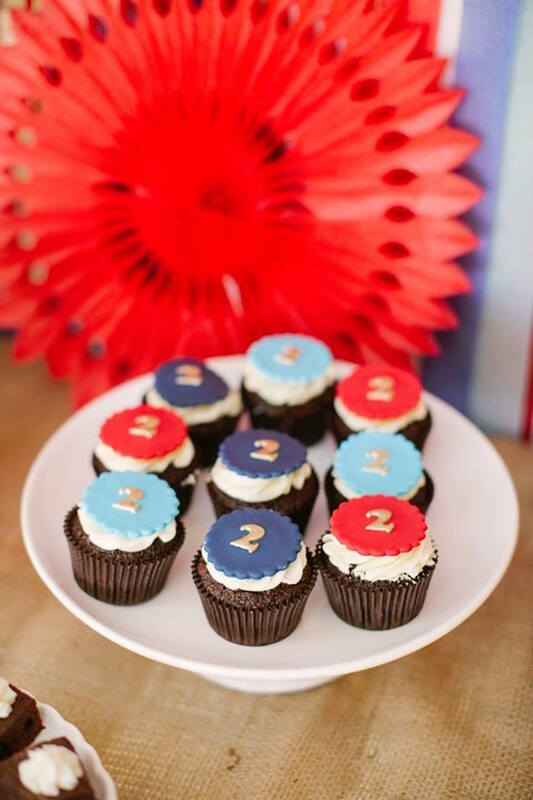 I had initially thought of organizing entertainment, however, I felt that two-year-olds would benefit from more of a free-play scenario. 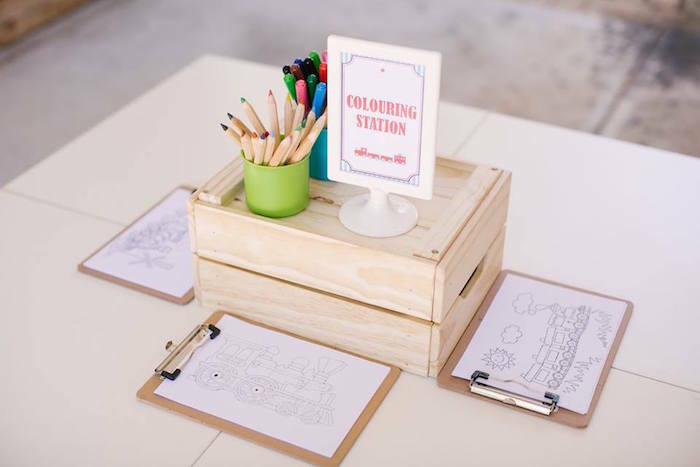 So I organized for Matthews favorite activities, coloring and playing with his trains. 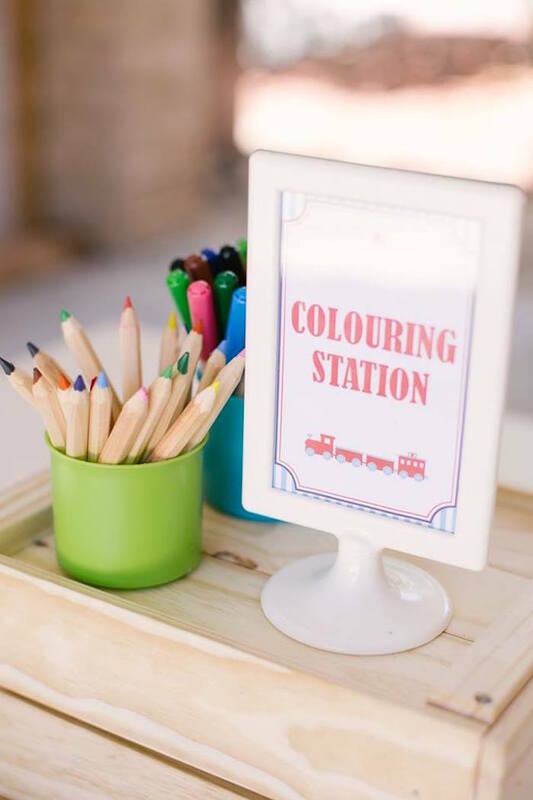 The little party guests enjoyed getting creative coloring one of the four train images we provided. 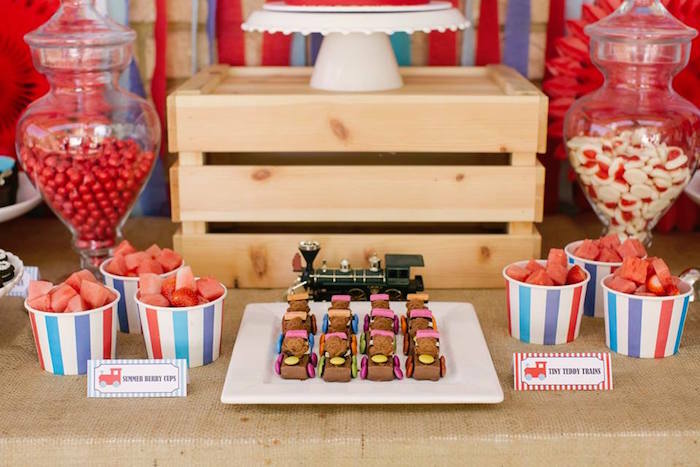 We loaded the train table with train tracks, train accessories and trains which gave the little ones and the grown-ups too an opportunity to use their imagination, and create fun retro railroad stories. 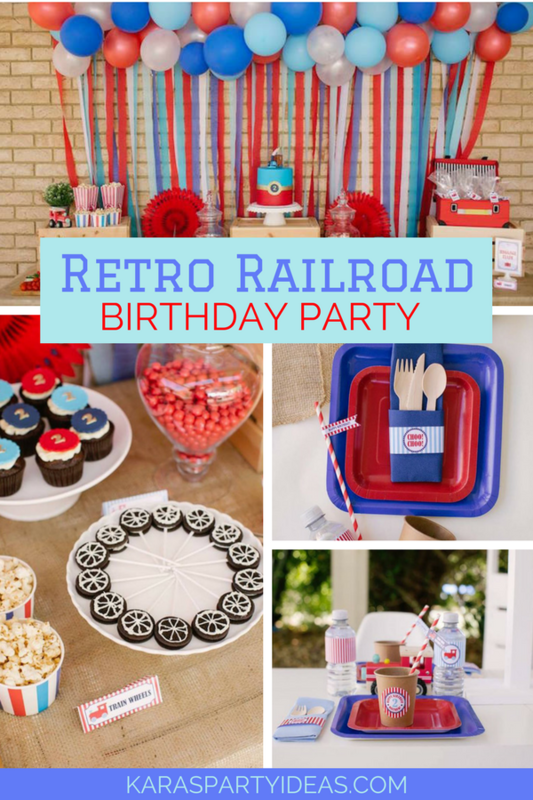 We had the great pleasure of having Lisa from Cakes to Celebrate by Lisa create the incredible retro railroad masterpiece, along with the most delicious chocolate cupcakes we have ever tasted. 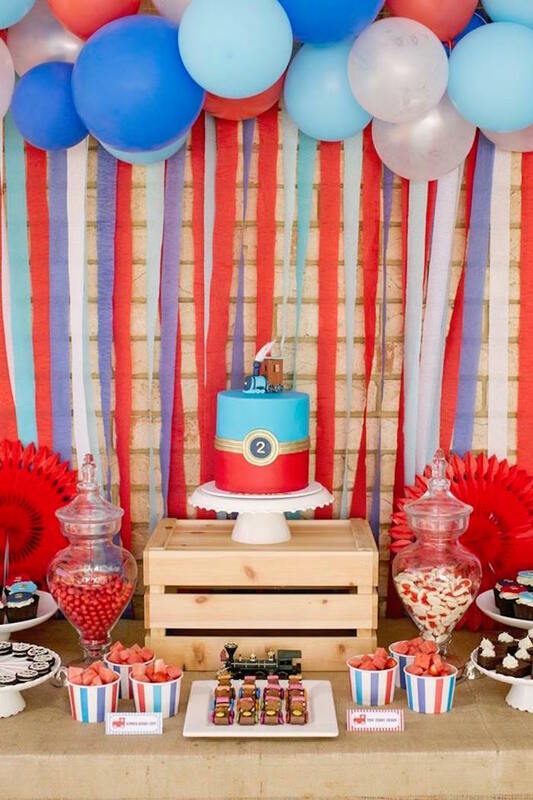 The birthday cake was a deliciously moist vanilla cake with white chocolate and strawberry buttercream, it was an absolute dream of a cake. Toot! Toot! 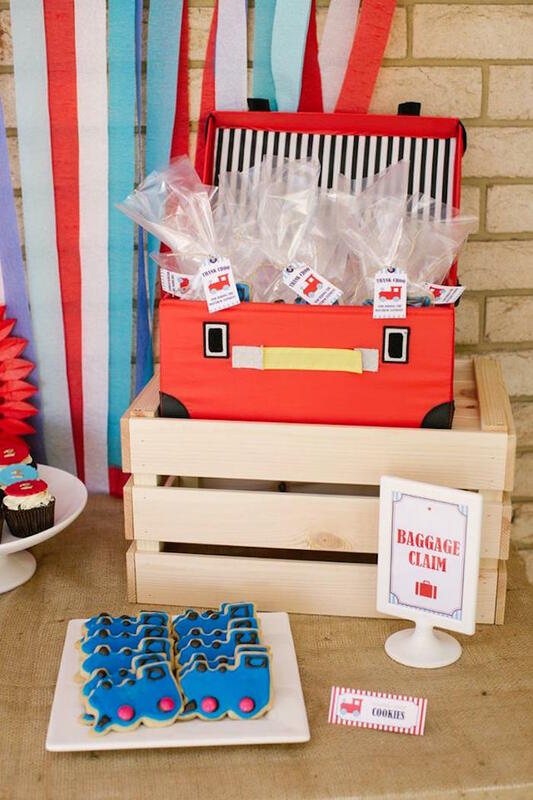 Little Matthew was eager to show his gratitude to each little party guest so suggested I organize a baggage claim where his little friends could collect their thank you gift. 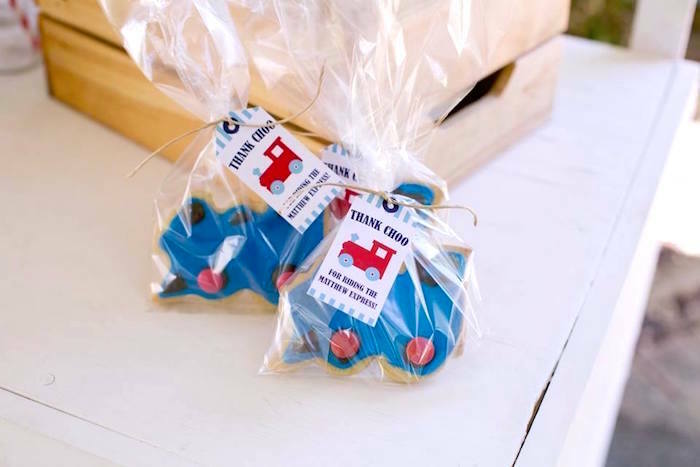 We wrapped in a cellophane bag a delicious clackety-clack cookie and topped it with a cute tag that said Thank Choo for riding the Matthew Express! 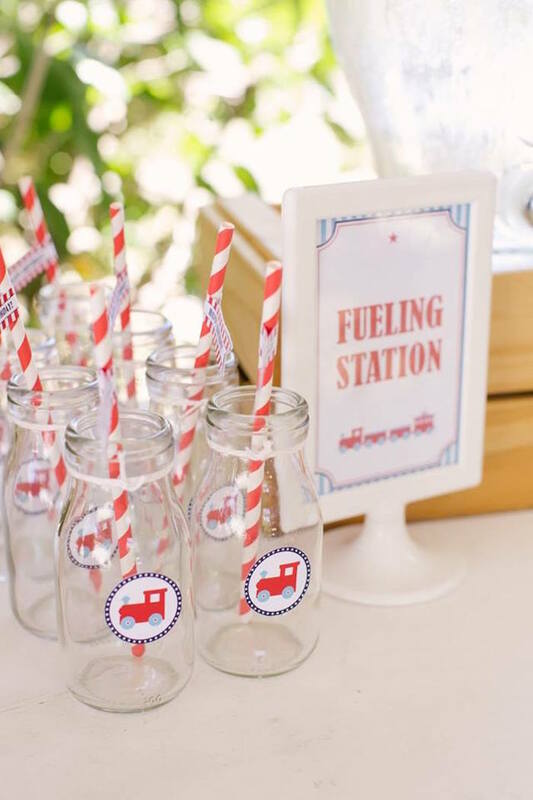 These tags along with the other event stationery were created by Amy from Tangerine Paper Shoppe. 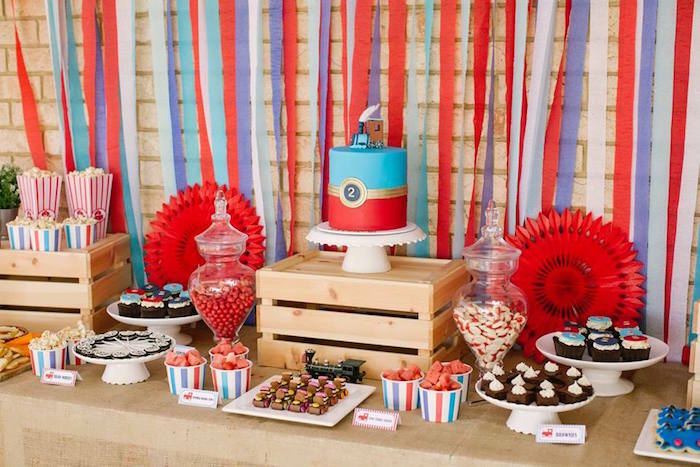 There is nothing more important to us than long-lasting memories from my little party event. 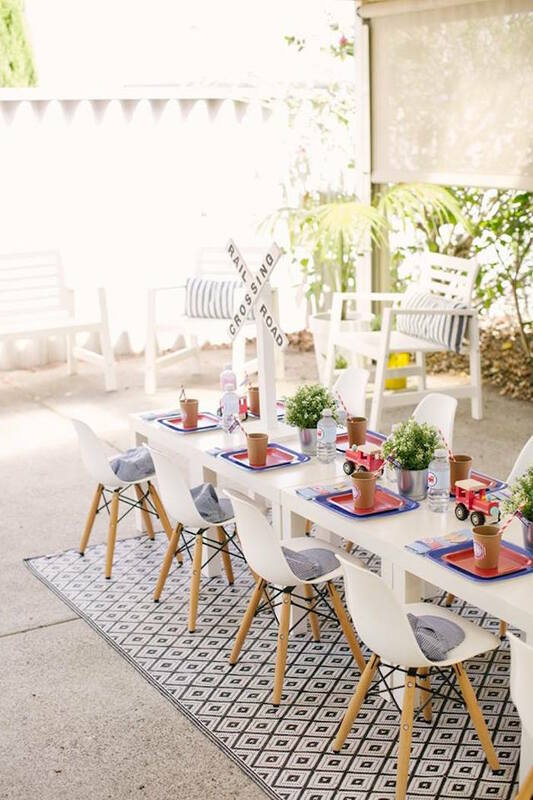 Angela Higgins is an incredibly talented photographer who captured all the important details of this little party so well. 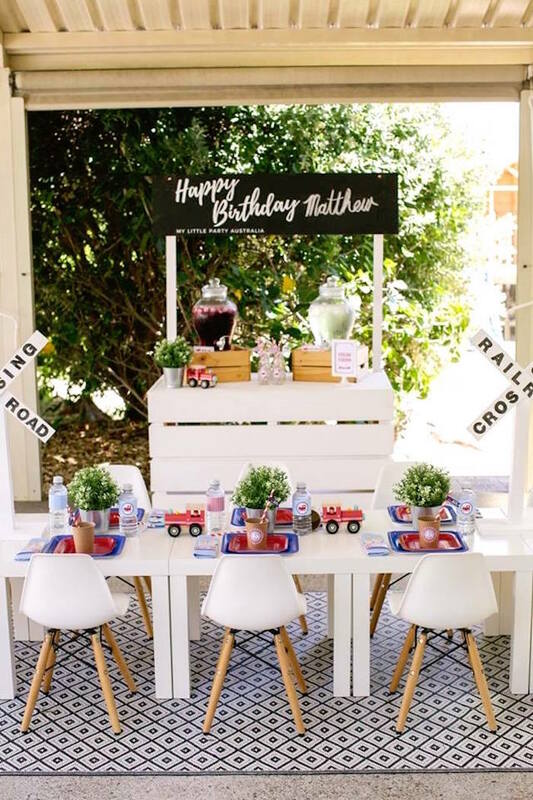 See all of our stops along the route of stellar train party ideas right here!